Jussi’s Coffeeneuring Challenge submission is a wonderful tour through his part of the world–from old forgotten places, fat bikes, meanders through forests and by rivers, to pastries I can’t even pronounce, and even a kuksa for coffee outside. As he writes at the post’s conclusion, “For some reason, these logs turned to journals and almost travel brochures.” It made me put Finland on my list of places to visit with my bicycle. Grab a drink, relax, and please enjoy this lovely coffeeneuring entry. Executive summary: From someone’s blog post, I randomly stumbled upon this thing called coffeeneuring. It seemed a brilliantly insane idea (given the usual weather conditions of late autumn here around 60th latitude), so of course I had to give it a shot. List of meal: Tea from thermos, almond flapjack, some biscuits. Weather: Light but constant rain, almost no wind, not really cold but getting increasingly miserable. Total length: 43,53 km, with tea breaks (in the same shelter!) at about 14,5 and 33,5 kms. Most of the route was familiar, and the idea was to get to the shelter, located right beside an outdoor trail for a teacup, then ride a loop of forest trails, return for another tea break and finally head home. The uncommon part of the forest trail loop included a disused racing track, which is about to be finally demolished after 35 years of disuse. The construction work has already eaten to the track itself, and pretty soon it will remain only as names in the planned residential area. So I decided to ride a lap one final time. has a weird out-of-place feeling – after all, full scale racing circuits tend to be rather rarely found from forests around here. The old paved service roads in the middle of a forests are rather spooky, but unfortunately the rain prevented me taking more photos. Depends heavily on the exact route taken and the weather conditions. Cyclocross bike would be just fine on most of the route in dry weather. In the current wet weather, and on the rougher trails, even fat bike was not overkill. The shelter itself is easily accessible with anything more off-road capable than a road bike, and obviously the selection of coffee/snacks is completely up to you. List of meal: Munkkikahvi, no adequate english translation exists :). Coffee and donut would be approximately correct, but not quite. The picture is deceiving, there is no jelly in the middle of the donut. Weather: The temperature dropped well below freezing the night before and it kept lingering around 0 C. The sunnier spots were already thawed, but in the shadows, frost still persisted even around noon. Local small stream had already grown a thin ice layer at some places. There was almost no wind and absolutely no clouds – all in all a perfect outdoor weather. A busy schedule (and a forecast of rainstorm for Sunday) meant that the ride needed to be short. This was a blessing in disguise, since it was in fact far colder than I thought and a longer ride would have probably been cut short anyway. The plan was to stick to dirt paths and Helsinki Central Park as much as possible, hit the Vantaanjoki river, head to city farmhouse to see how the highlanders are doing and then head home via the actual coffeeneuring target. Clear days and cold weather go hand in hand, and this was as pretty as autumn days ever get around here. Helsinki Central Park is a very popular destination for a day outdoors. It comes as a little surprise that a coffee house, located beside the park, offering a parking space (for bikes as well as cars) and home-made products has a near-legendary status. The price is a bit steep, but the quality and overall experience easily compensate. As a proof a group ride arrived just as I was finishing my coffee. List of meal: Coffee, Apple-crumble cinnamon bun. The choice between this and chocolate-caramel bun was hard, but since apple is a fruit and fruits are healthy and biking is a healthy hobby and certainly not at all about chasing unspeakable delights made of flour and fat and sugar, apple it was. Possibly the last opportunity to show some sunlight to my road bike this year, so a bit longer session this time. The weather is rarely calm so near the sea, and the refreshing late October breeze didn’t particularly encourage photo sessions on the way. No loss there, travelling across the city and continuing beside a highway looks kind of boring in this time of year anyway. There’s enough carbon fiber in my road bike to keep me well away from gravel (read: the more interesting routes). This is the same river that was featured in the last week’s photo, and the overcast weather makes it look even more bleak. Still, while I was messing with my phone, two bikers, a runner, and the one barely visible canoeist passed beneath the bridge. Had the Coffeeneuring Challenge taken place in midwinter, there would have been be ski tracks on both sides as well as on the river itself. As a halfway refuel point between the capital and the next coastal city, the location is ideal. N’avetta prides their offerings as “fresh and handmade” and boy do they deliver. In the summertime they even sell spare bottles, energy bars and such biking-related lifesavers, since you can’t really stuff a cake in jersey pocket. And they also operate a decor shop next door. And the cafe building itself is an old cowshed (in fact, the name N’avetta translates as C’owshed). Highly recommended for anyone travelling between Helsinki and Porvoo regardless of transportation – on the home page they welcome even horseback riders. Address: None, just a place in Kruunuvuorenranta. Couple of articles about it here and here. List of meal: Tea from thermos. Energy bars at other breaks. And I finally found my old kuksa! No more outdooring with plastic swedish cups! Weather: Sunny, almost windless, slightly above freezing. Pretty weather equals long rides. This time I planned to head east, so again riding through the city. Only this time I was riding steel and beefy tires, so off the road I went. The strait between Herttoniemi and the island of Laajasalo. Helsinki has a fair share of coastal line, ranging from untouched shores to modestly built-up areas to reclaimed harbours. The sea does usually freeze, and that opens a whole new world of outdoorsy possibilities for a couple of months. Skiers and skaters are to be expected, but long-distance skaters, kite surfers and fat bikers are not unheard of either. I suggest a Winter Coffeeneuring spinoff. First refresher break on the island of Killingholma. The sun is still low and camphone starts acting weird, so all the exposures are more or less off. The real target were however the forgotten villas of Kruunuvuorenranta. Once a thriving community, most of the villas have been neglected for a good part of the century. A businessman bought the land in 1950’s, but he was never able to strike a satisfying deal with the city on how to develop the area. Nobody really cared about the place for a long time, and as of now, all the buildings are beyond all salvage attempts. Some still standing, some less than that, a few have even burned to the ground. This is not really a place to visit without sunlight, but during daytime it’s clear why this place was originally chosen. Almost all of my route could have been ridden with anything. In fact, there were many people hiking in Kruunuvuorenranta forest, having arrived with bikes. The place is not easy to reach without some wheeled transport of your own, and considering the amount of families, this probably is a rather friendly destination indeed. I wasn’t even the only one picnicking. Most of the forest trails were easy enough, such as this one in Killingholma. Since I had brought the fat bike, I had to make the long road transition count. So I went searching for beaches, rocky shores and more challenging forest trails. List of meal: Munkkikahvi, again! This time with a real jelly-filled munkkipossu (or, “the pig”). We got the first snowfall a couple of days ago, but it disappeared overnight. Everything is damp, and cyclocross bikes are getting some action inherent to the species as most of the paths are getting muddier and muddier. This doesn’t really go together with having coffee indoors. I decided to stick to tarmac until the coffee, and then avoid it on my way home. During the First World War, Finland was still part of Imperial Russia and as geography dictates, a part of fortification chain defending St. Petersburg. Consequently forests in and around the city still contain lots of fortified positions, bunkers, trenches, cobbled artillery roads and the like. Some are well hidden, others are easy to see, like this one right beside the cycleway. Nowadays the remains are protected, and often explain why the roads swerve around seemingly useless green patches on the map. The main ring road circling Helsinki was built by upgrading and connecting existing streets, which were originally laid down as a part of building the fortifications. As a result the ring road pretty much follows the fortification chain – in effect, the firing range of WWI artillery determined where the country’s busiest road was built decades later. The coffee was served in Gate 1, located in Helsinki-Malmi airport. Built in 1936 as the city’s first land-based (as opposed to seaplane harbour), the Malmi airport was overtaken already in the fifties by Helsinki-Vantaa airfield as Malmi cannot take larger jet planes. It still remains Finland’s second busiest. The terminal building itself is protected and (as I have been informed) a sight itself. Short of passenger jets, pretty much every kind of aviation activity calls Malmi home today, from sky jumpers to recreational aviation to border guard and ambulance helicopters. 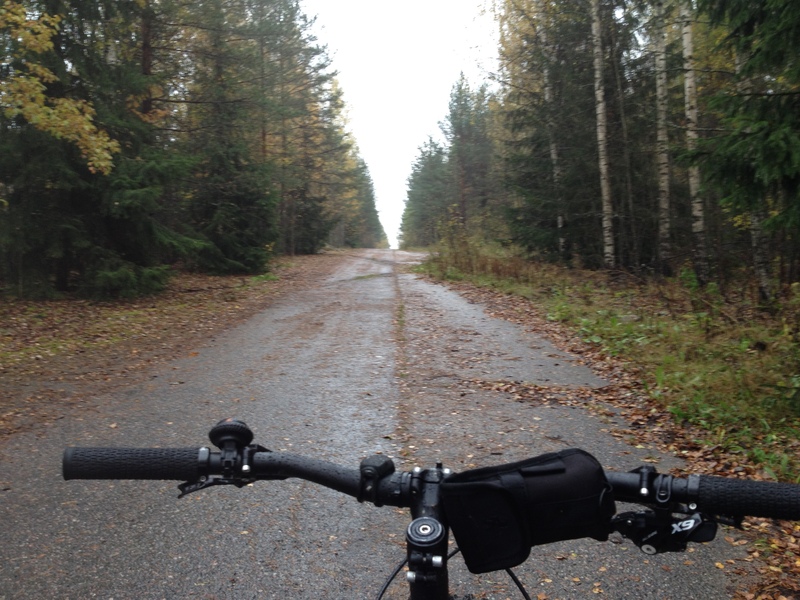 It seems to be a trend that I’m coffeeneuring to doomed places, and indeed Malmi got the axe a couple of days ago. After years of heated debate, it was finally decided to close down the airfield and use the runway area for housing instead. And view inside. Gate 1 can be seen in the 2nd floor, and pretty much everything in ground and 3rd floor are offices for different companies. The lobby is actually circular, the panorama picture just distorts the perspective. Surprisingly, the unbuilt area around the airfield is somewhat of a bird sanctuary and a quite popular outdoor destination. A ski track (obviously multi-use without snow) goes around the airfield, and routes continue to several directions. 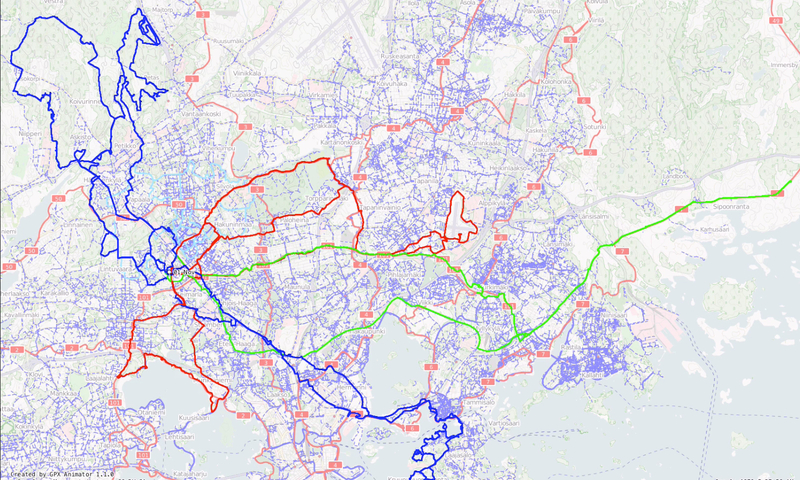 The aforementioned ring road is in fact included in this picture, but the overall impression is still hardly urban. Fair. There are a couple of bike racks outside, but nothing special. The cafe was packed to the brim and the following day’s Father’s Day brunch was already sold out. In the summertime the cafe is extended to outdoor terrace, which should make the place more accessible. Coffee hunters seemed to be a small minority, as most of the folks were having lunch. List of meal: Coffee and white chocolate cheesecake. Again a tight schedule, as this ride fell on Father’s Day. Nothing fancy, just headlong to grab the coffee and then a brief wandering while hugging the seashores. For some reason, while crossing the Huopalahti bay, bike lanes were built well away from the main highway (just visible on the farther causeway. These pontoon bridges are the only route across the bay, save for long detour, and they get fairly interesting during the winter with enough snowfall. Even worse, when the temperature drops below zero but the sea hasn’t frozen yet, the wind crashes enough waves to completely cover the bridge in ice. The view from the island between the two bridges is still nice, even in November. This is easily the worst season in southern Finland – not autumn anymore, and no winter yet. Did I mention that we get about 8 hours of sunlight nowadays, and the days grow shorter still for more than a month? With fresh snowfall the darkness becomes more tolerable, but just now it’s rather hard to find any consolation from it. So I substitute the sunlight with coffee and cake, which I find a reasonable trade. I was actually tempted to include a nightride, but unfortunately I can’t fit it in my schedule. Even if the picture is taken beside a highway, we’re between two cities and next to a nature conservation area. The coast right across the bridge and towards left hand side is protected. Even more to the left, just out of the picture, the nature conservation area gives way to Helsinki University of Technology, which in turn transitions to a high tech center with several companies’ headquarters. Some time ago I would’ve probably taken the time to include Nokia HQ, but nowadays there’s little motivation for that. Friendly, but not especially bike friendly. No bike racks, but possibility to store the bike next to terrace. The food is still great, and the place is close enough to warrant a breakfast pickup some day. List of meal: Tea from thermos, almond-coconut energy bar. Weather: Cloudy, with occasional speck of sunlight, no wind, again surprisingly warm. The last one! Originally I planned to head to another shelter, scout some paths on the way and decide the route home later. Coincidentally my old colleague surprised me with a call, so I dropped by on my way back and this dictated the return route. In the beginning I tried to stay out of smallest forest tracks just to save my strength. After crossing the outest of Helsinki ring roads, I did eventually find myself in the woods. This must have been a quarry not so long ago, since the cliff has clearly been mined and between large piles of waste rock, there are even some half-finished stepping stones scattered on the ground. I’ll need to look this up someday. The path was actually a gas pipe line, on which they create a ski track (note the tree with painted orange band in the middle of the picture). This means also that terrain isn’t particularly runnable, even if the route itself is wide. The road, leading to developing industrialist area, is new, but apparently the traffic sign that forbids motor traffic is not as useless as one would think. Though, considering the size of those birches, the car was probably abandoned quite a while ago. I’ll certainly need to visit these paths again. Familiar names abound; ski routes and walking paths having different signs, white-green sign of nature conservation area and white-blue-white stripe of Route 2000. Sadly no English page for it exists, it’s basically a 70 mile cross country route starting from the middle of the city. I’ve only ridden parts of it, maybe it’s time to complete the whole route someday. The Serena shelter in setting sun. Someone’s been preparing for the winter as the firewood supply has been recently filled. It also turned out that one of the benches is wide enough to sleep on. I can sense an overnighter coming at some point. Finally I headed home via the colleague, and as the One Final Thing, Malminkartano landfill hill. Not a natural formation, but with nearly 300 feet in height, the highest point in Helsinki anyway. Since we’re located on an old seabed, hill that size is a popular outdoor destination with photographers and athletes alike. Sadly my iPhone battery died after one sunset shot, so no views of the dozens of people scaling the hill. The shelter is technically located beside a maintained outdooring route, which should be accessible with anything (except maybe road bikes with inch-wide slicks). In reality, something more robust is needed, since the route includes soft sand hauled to patch eroded spots, the yet unpatched spots, and more mud than would be reasonable to expect. I also did some scouting for Openstreetmap, and ended up in some trails that require either a mountain bike or superhuman skills. The meal is again limited only by imagination and maybe backpack size. So that’s about it. Certainly I would’ve ridden on most of these coffeeneuring days anyway, but at least the promise of a decent beverage kept me running for longer and further. Mostly I knew all the places beforehand, but hadn’t visited them in a while or had just seen them briefly. For some reason, these logs turned to journals and almost travel brochures. The weather was a bit of a let-down, and there’s really no sign of winter yet even if we’ve had night frosts for a month already. The Internet tells me that US is having much more of a winter than us here in north Europe. Maybe the most productive rides were the fat ones, as they seemed to lead me to new paths and promises of even more. Brilliant read. It’s nice to relive vicariously European coffeenneuring exploits (and from a hardy Finnish soul at that). Love that wooden coffeeneuring cup! MG, you’re building us up for the official start. 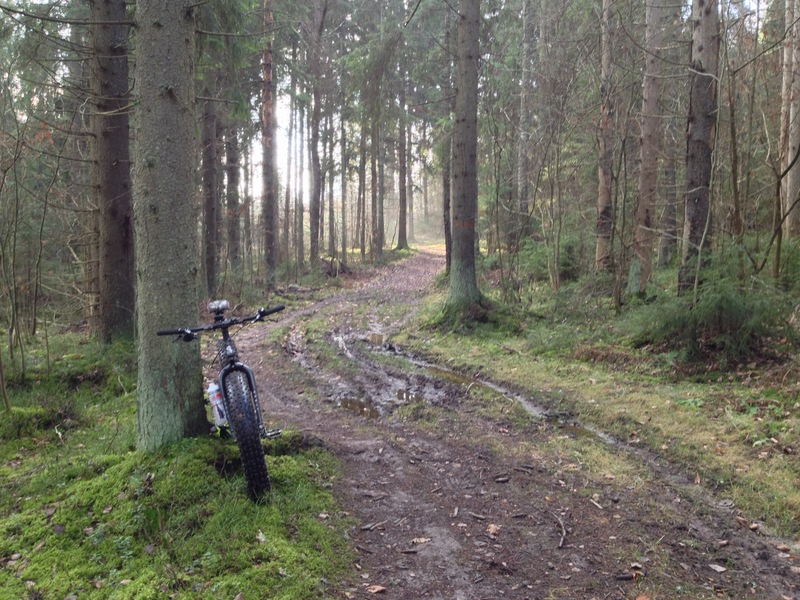 Coffeenneuring 2015 – bring it on! I love the Kuska, I’ve actually made a few of those but they didn’t turn out as beautiful as the one in the photo.